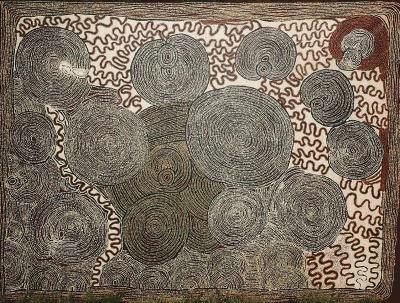 This painting depicts the geography, traditions and ceremonies associated with a location known as 'Punkilpirri'. This site is located near the Esther's homeland near Tjukurrla on the Northern Territory/Western Australian borders. the symbols are associated with the activities conducted at this site. 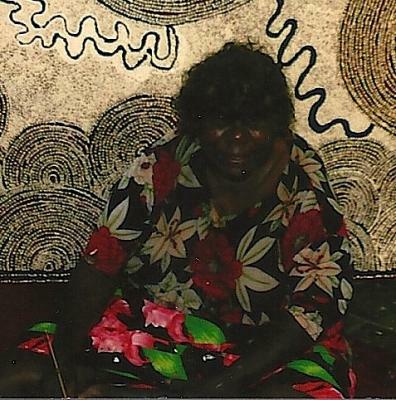 Bush foods, or 'mai' were prepared by women during ceremonial rituals, and are depicted by the central icon. The mythological serpent ' wanampi' believed to have created all sources of water, is depicted by the curving lines flowing form the central icon. 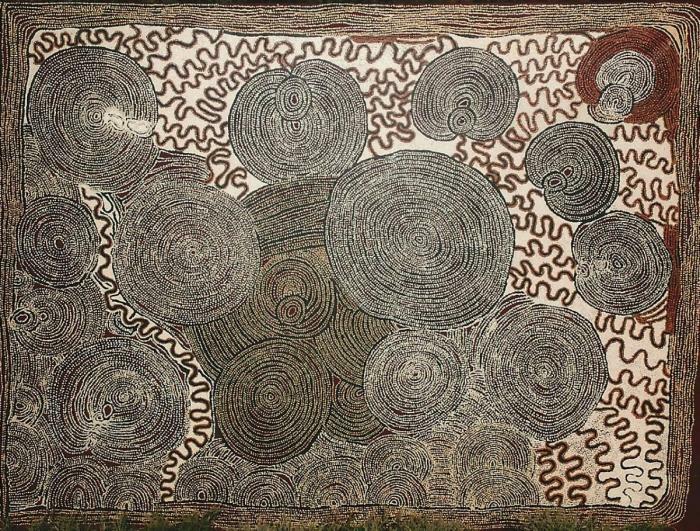 The representation of landforms such as 'puli' (rocks and hills) and tali (flat country) depicted by parallel lines, is associated with the physical and spiritual connection to the earth and an also be seen in decoration such as body scarification, ground designs and incised wooden implements.